Every few days, on average, another grid mark occurs --assuming past trends continue. Among the dozens of photos experiencers send in each year, the same patterns, shapes, and locations have consistently showed up. Like clockwork, so long as the phenomenon remained the same, there was little more for my team to investigate. Lately, however, a few odd marks stick out. 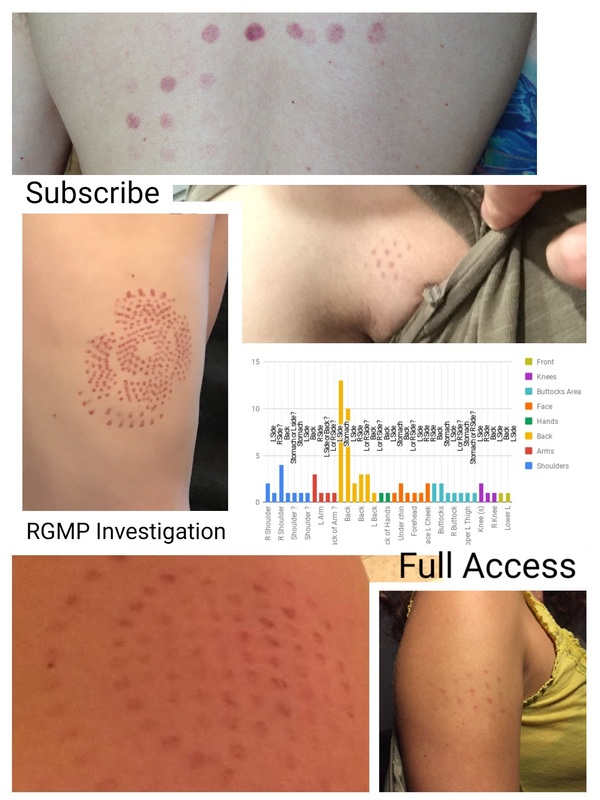 These were legitimate cases with unique marks beyond what is normal for the RGMP. Two self photos of Lanly’s shoulder where a “clock-face without hands” RGMP mark appeared. In May 2016, Lanly contacted me from California to present her case to the RGMP investigation. 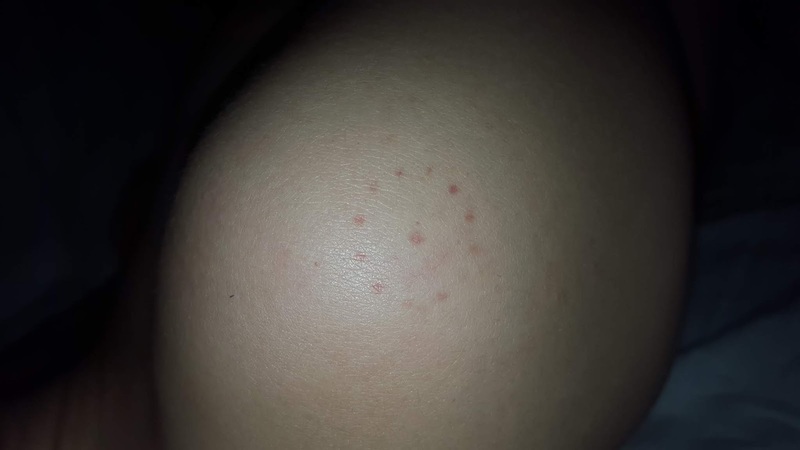 While driving her boyfriend to the train one morning, he noticed the circle of dots with a singular center dot on her shoulder, totalling thirteen altogether, and about the size of a $1 coin.